NYC, 02/07/2019, 7:00PM. 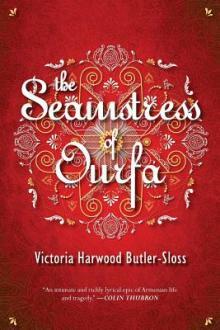 The Seamstress of Ourfa: Family Drama at the End of the Ottoman Empire. The Seamstress of Ourfa richly recreates the culture of the Armenian community in Ourfa at the tail end of the Ottoman Empire. The eponymous seamstress, Khatoun, creates beautiful dresses that leave her customers' husbands dizzy with desire, while her sister in law Ferida cooks sumptuous feasts to sustain a growing and lovingly described group of relatives and the waifs and strays they adopt. The author creates a finely textured sense of family, only slowly making the reader aware that the date is creeping nearer to 1915 and the genocide of the Armenian people in Turkey. When the horrendous events of those years start to unfold, the traditions and lives of the Armenian people are slowly yet inexorably torn apart. The Seamstress of Ourfa does not shy away from the painful realities of those years, but manages to maintain a sense of cultural continuity into the 1960's, where the author's surviving family reunite in Nicosia, Cyprus. Victoria Harwood Butler-Sloss is Armenian English, raised in Nicosia, Cyprus. She moved to London at eighteen and began her career as a dancer at the Raymond Revuebar, She trained at the Royal Academy of Dramatic Art and spent twenty years as an actress, playing a slew of mad, bad, exotic foreigners on British television and theatre in the West End, The Royal Court and European tours. After getting married she moved to LA, started a family, continued to work in voiceovers and wrote her first opus, the first book in a trilogy.